Ed Gower is a trial lawyer and advisor. He concentrates his practice in the areas of construction and business litigation; governmental affairs; and transportation, utility regulation and administrative law. Mr. Gower has represented business clients in commercial litigation; construction and transportation related litigation; constitutional and environmental challenges to governmental action; disputes arising out of the acquisition of businesses; disputes concerning the design and performance of manufacturing and other capital equipment; bid protests; rehabilitation and insolvency proceedings; reinsurance and insurance coverage disputes; and employment litigation. He has also successfully represented clients in a broad variety of state and federal administrative agency proceedings. In matters of labor and employment law, Mr. Gower has represented clients in investigations involving the Occupational Safety & Health Act (OSHA), the Fair Labor Standards Act (FLSA) and the Prevailing Wage Act. Mr. Gower also advises and represents governmental entities in a variety of matters including advice concerning governmental powers and procurement, drafting legislation, and representation before state and federal administrative agencies in such diverse matters as construction litigation, utility regulation, environmental matters, railroad acquisition, and rail-highway grade separations and crossings. Mr. Gower’s governmental representation is extensive and includes counties, municipalities, airports and mass transit agencies. Reflecting on more than a decade as Chief Counsel for the Illinois Department of Transportation, Mr. Gower has extensive experience with highway design and construction litigation; environmental litigation; constitutional challenges; and employment and civil rights litigation. He also advises business clients on all aspects of state and municipal governance and services. 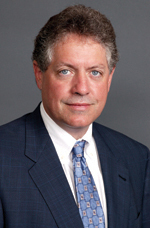 Mr. Gower joined Hinshaw & Culbertson LLP in April 2003. He previously served as Chief Counsel for the Illinois Department of Transportation for 12 years. His tenure also included one year as Acting Director of the Illinois Division of Aeronautics. As Chief Counsel, Mr. Gower supervised all litigation involving a state agency with an annual budget in the range of $3 billion to $4 billion. He also was involved in every major legislative initiative proposed by or affecting the Department. Prior to his time with Department of Transportation, Mr. Gower spent 11 years in a Chicago commercial litigation practice, first with the law firm of Isham, Lincoln & Beale and later as a partner at Keck, Mahin & Cate. He also served as Special Counsel to the Illinois House Minority Leader in 1986-87. In the Fall of 2005, Mr. Gower completed intensive training in mediation from the faculty of Pepperdine University School of Law’s top-ranked Straus Institute for Dispute Resolution.